Conde Nast Traveler magazine’s February issue declared a resurgence of falconry was occurring in the rolling hills of Shropshire, England. This revival is just one example of the back to nature quest many British urbanites are seeking. And while this sport seems steeped in all the poetry and magic of a hawk in flight- swooping down from the clouds its sights set on its prey, it was the sidebar notes of this article that caught my eye. Ludlow, a small, picturesque medieval market town of about 10,000 inhabitants lies in this remote corner of England by the Welsh border and is known for it’s epicurean roots- at one point, the only town in England with three Michelin-starred restaurants. The town hosts the prestigious annual Ludlow food festival and was the first UK member of Cittaslow or “slow food” movement. Ludlow supports traditional butchers, bakers, a regular farmers market as well as a range of specialty food shops. 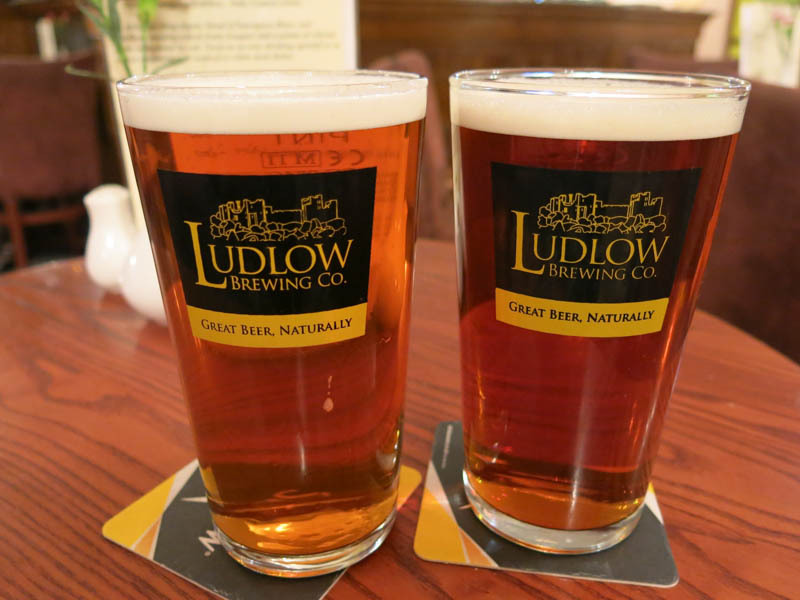 Ludlow also has its own award-winning brewery, The Ludlow Brewing Company, which has been producing real ale using local hops since 2006. Currently, there is but one Michelin-starred establishment left in Ludlow, but it was the previously starred La Becasse, overseen by the incredibly talented chef, Will Holland that interested me and was at the top of my “Must Do” list for this trip. So reservations were made and off we went. 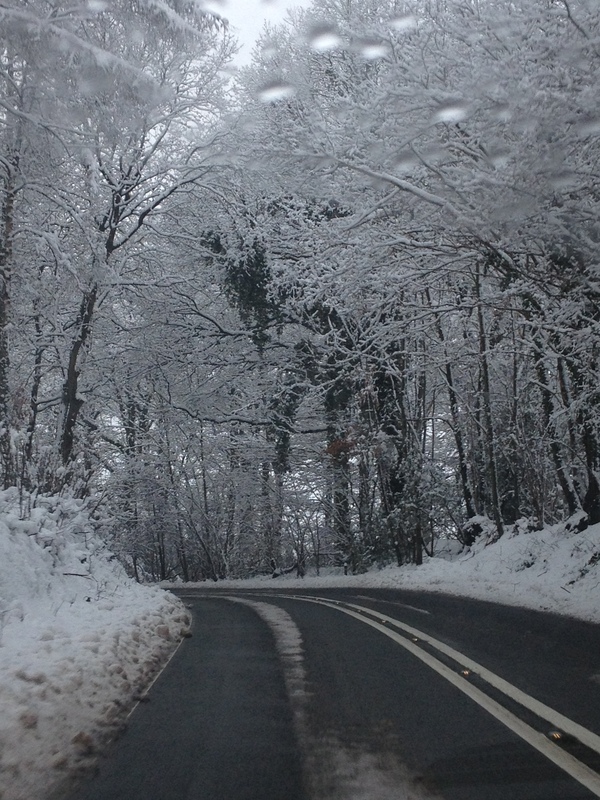 However, we were unaware that there would be a blizzard the very day we were to travel, so that made our cross England drive a bit of an exciting ride. We weren’t about to let snow get in the way though! The roads wound through very hilly, forested farm land. There were many sheep along the roads and often they were nearly covered in snow. I felt badly for them. At times, the trees actually became bent over the road as they grew heavy with wet snow. While a beautiful sight, it was a bit treacherous and icy in parts. We made it to our B&B, a quaint, comfortable room with a private entrance called 130 Corve Street as that’s where it is located, just across the street from La Becasse. 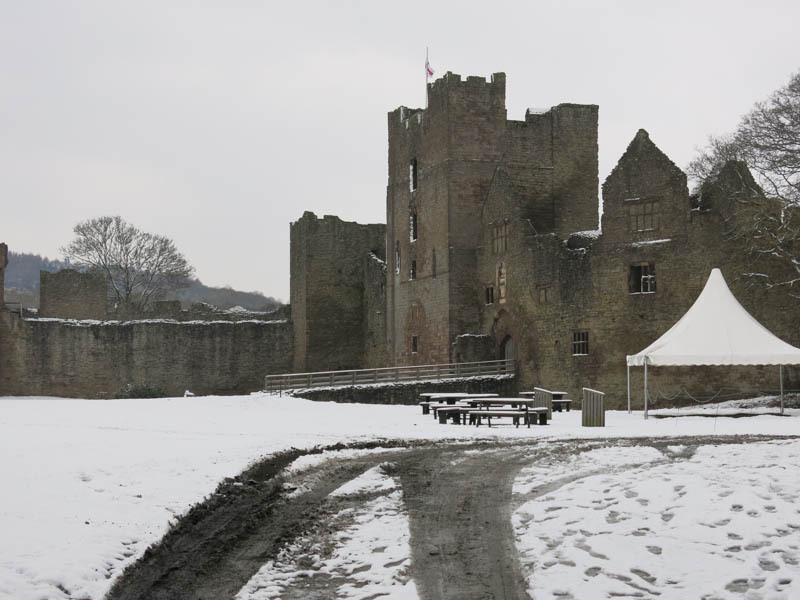 There is lots to see as Ludlow sits between the scenic River Teme and the River Corve at the foot of the Clee Hills with Ludlow Castle sitting atop a small hill. The medieval walled town has nearly 500 listed historical buildings and a fabulous market square. Having enough time to unwind a bit before dinner, we headed out to the Feather’s Bar, which is housed in a beautiful a 17th century coaching inn for a few pints from the award-winning Ludlow Brewery. Dinner reservations were for 7:30 and we arrived just in time. 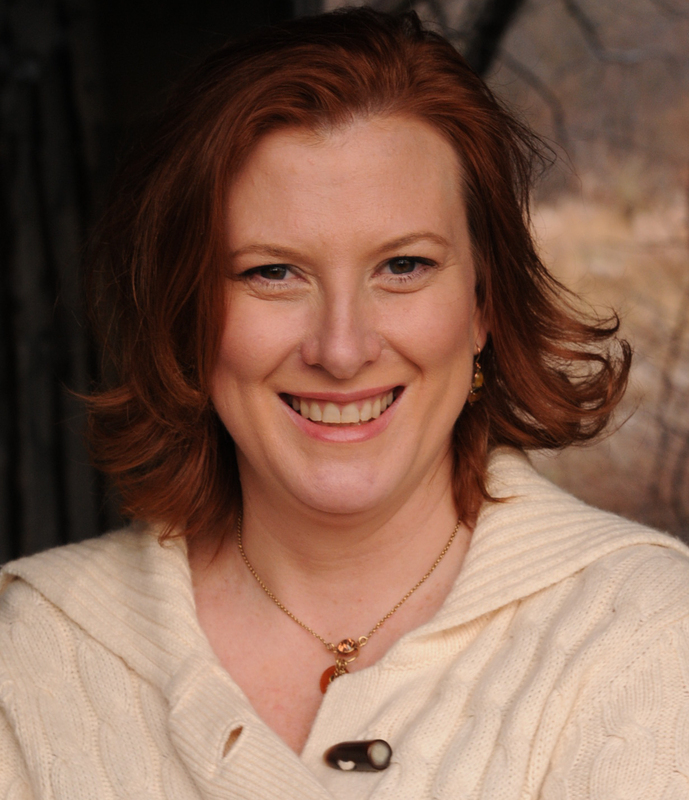 From the minute you arrive at La Becasse, you are in expert hands. 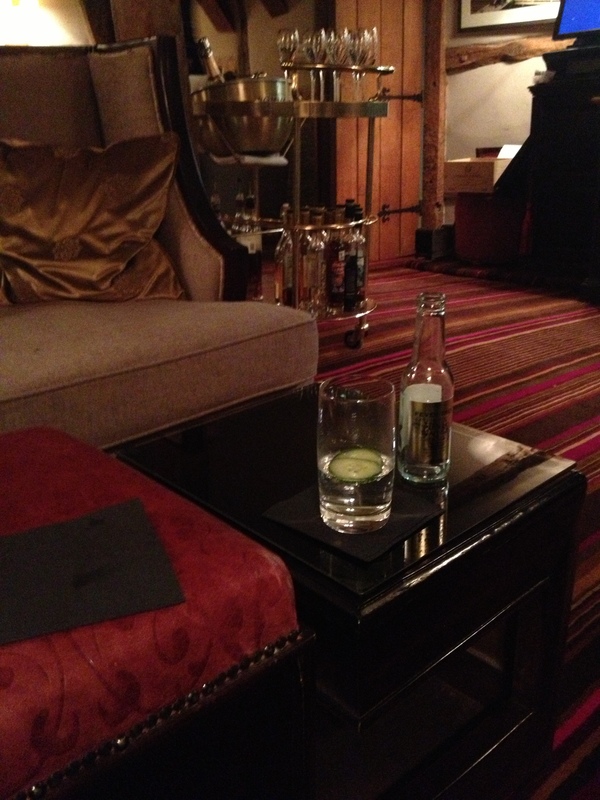 After taking our coats, we were led upstairs to the lounge where you are given a few bar snacks and cocktails. We ordered Gin & Tonics, and I, as an afterthought, realized that I don’t actually like gin, and wondered what, exactly I had just done. Well, it turns out I love Gin & Tonics, especially when made with Hendrick’s Gin and Fever Tree tonic with fresh slices of cucumbers. It was so bright and refreshing. Now, I think that it is my drink of choice. Who knew!?! We were handed menus while we relaxed with our drinks and asked to choose between the tasting menu or ala carte option. The decision was not so difficult, as we wanted to experience everything the chef had to offer! 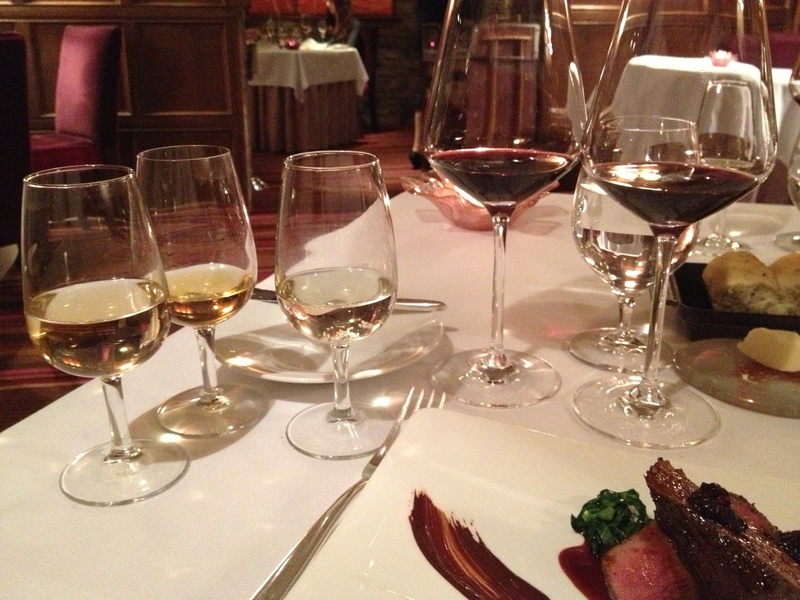 We choose the tasting menu with wines that were perfectly matched for each course. After we were led downstairs to our table, the first round of wine was poured. And with each course, another glass was filled and so it continued until our table was filled with glasses. From the amuse-bouche straight through dessert, each plate was a work of art and a delightful treat. 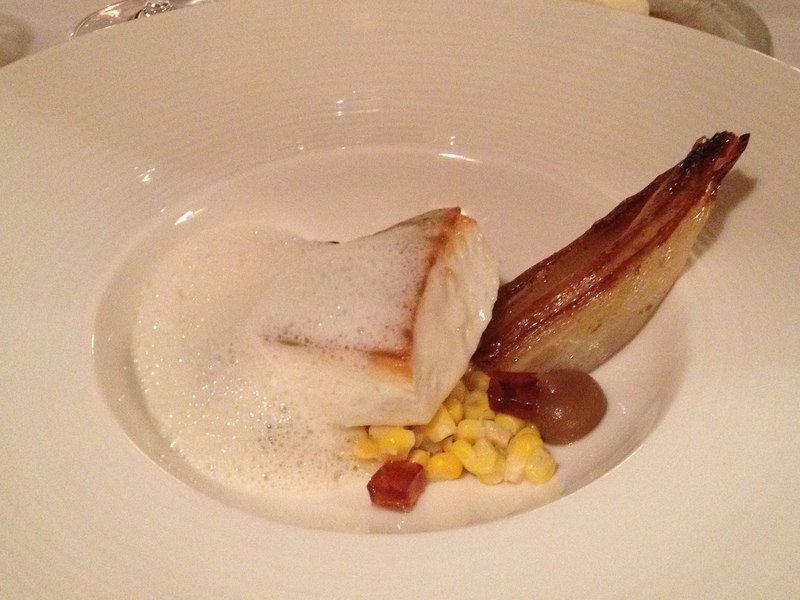 Our courses for the evening included a terrine of Foie Gras with a toasted brioche and fresh greens, Devon crab served with a Fish Cake and a tangy papaya salsa, and then a beautifully done filet of Halibut with Vanilla Foam and Roasted Corn. 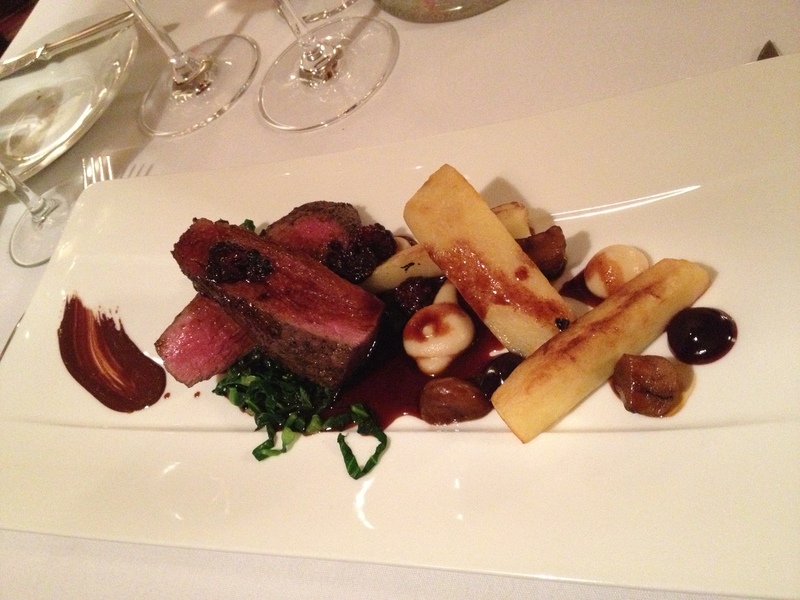 The main entree was sliced Venison served with Parsnips and a Blackberry Chocolate sauce drizzled over the entire plate. The sweetness perfectly balanced the flavorful and tender meat. For a cheese lover, the selection on the trolley was superb. 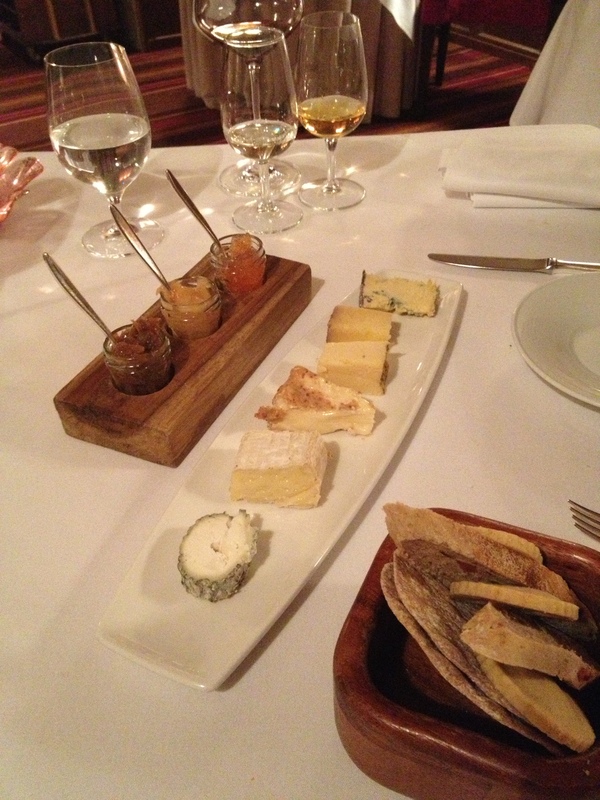 We shared a terrific selection of cheeses that were presented from the cart to match our personal tastes. One of my favorites was the Pont-l’Évêque, a soft cow’s-milk cheese much like Brie or Camembert. 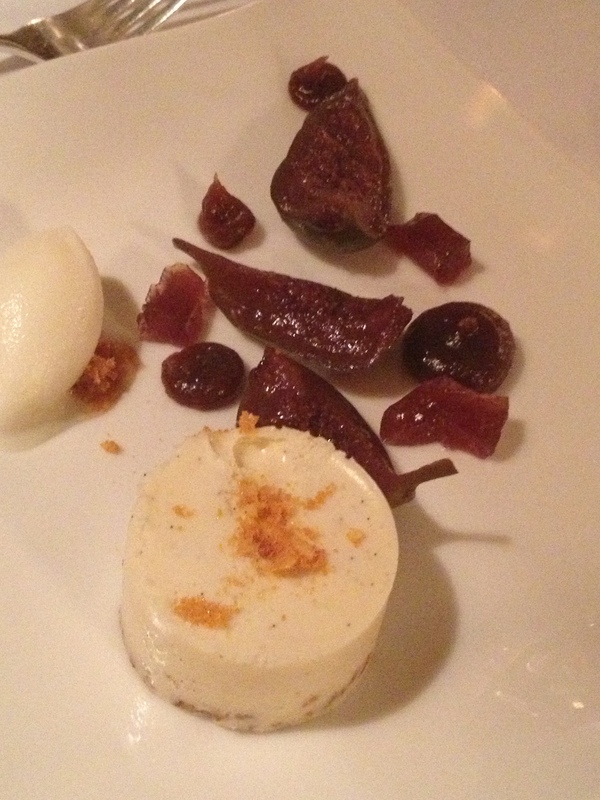 The dessert was a decadent but light White Chocolate Cheesecake with Soaked Figs and Vanilla Crème. 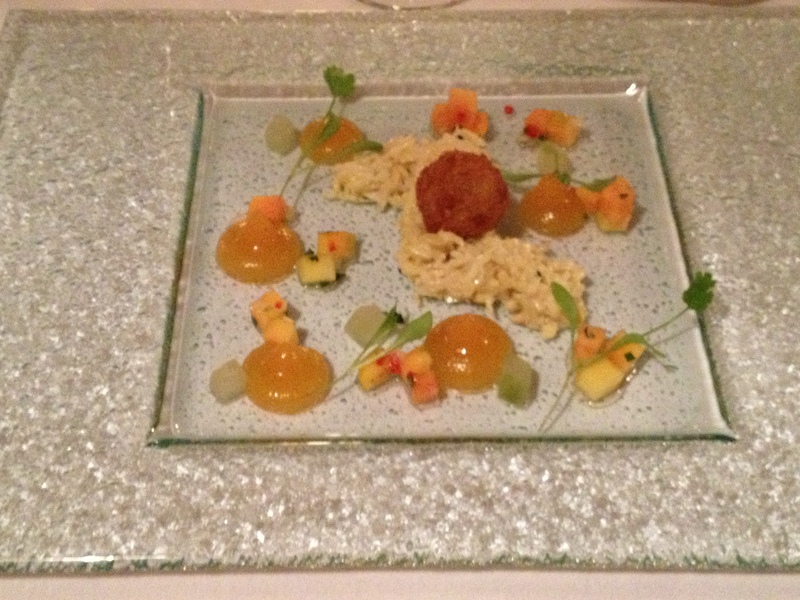 Everything was designed to perfection and Chef Will Holland’s creativity was evident in each dish. The staff was also amazing. The Sommelier really elevated our experience with his charming and unpretentious manner while the servers made sure we were never without water or bread. They were attentive without being overbearing and explained each dish as they arrived. I cannot seem to grasp how they have not been re-granted their much-deserved Michelin Star because this was an incredible fine dining experience in a formal, though completely unstuffy atmosphere. The next day before we left Ludlow, we did a bit of exploring. We wandered around the outside grounds of one of the finest of medieval ruined castles, Ludlow Castle. Unfortunately, due to the falling ice, the castle itself was closed and we found navigating the perimeter even difficult. Directly across from the castle is a very interesting building, Castle Lodge, home to Catherine of Aragon while she was married to Prince Arthur. She later went on to marry Henry VIII after his death. Castle Lodge has been privately owned throughout its history and was a hotel up until the Second World War. The Lodge was re-opened to the public in 1999 by its current owner Bill Pearson who wanted to turn it into a hotel once again. Unfortunately, the cost of this plan prevented it from occurring, and the house is basically in near ruin save for the few pounds that come in from tourists wandering the unfinished rooms. 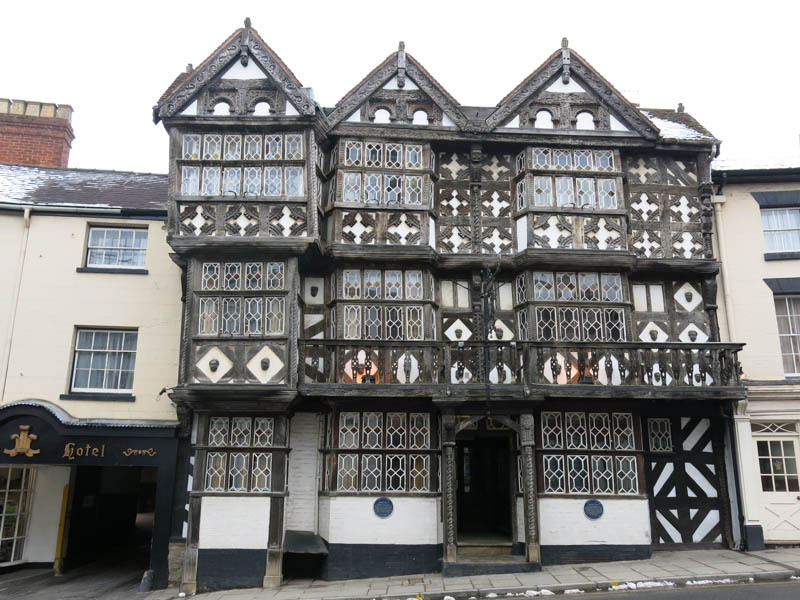 It’s quite a sad state for a home with such history and boasting one of the largest collections of oak paneling in England dating from the early 13th Century. We had a good look around and without any interaction with the owner, who disappeared once he collected our 3 pounds. 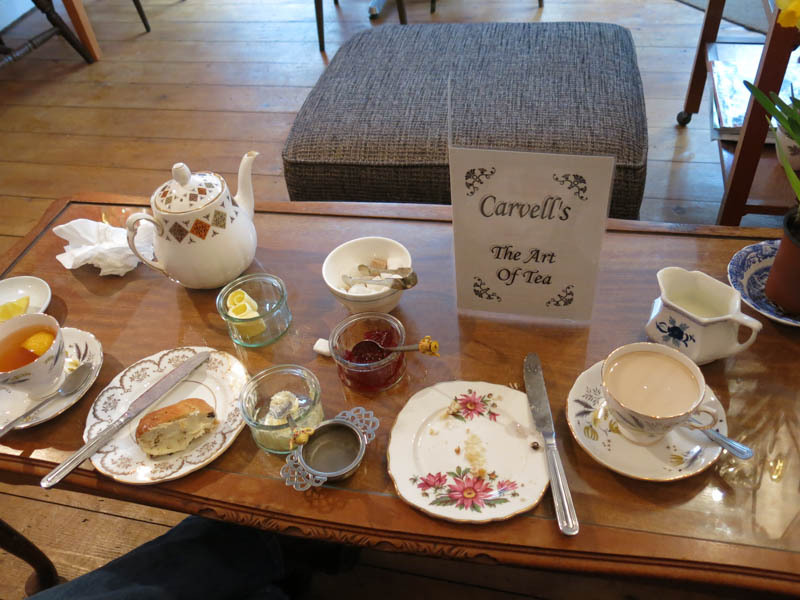 We soon left in search of something warm, which we found at Carvell’s The Art Of Tea shop; delicious scones, clotted cream and piping hot pots of Earl Grey.